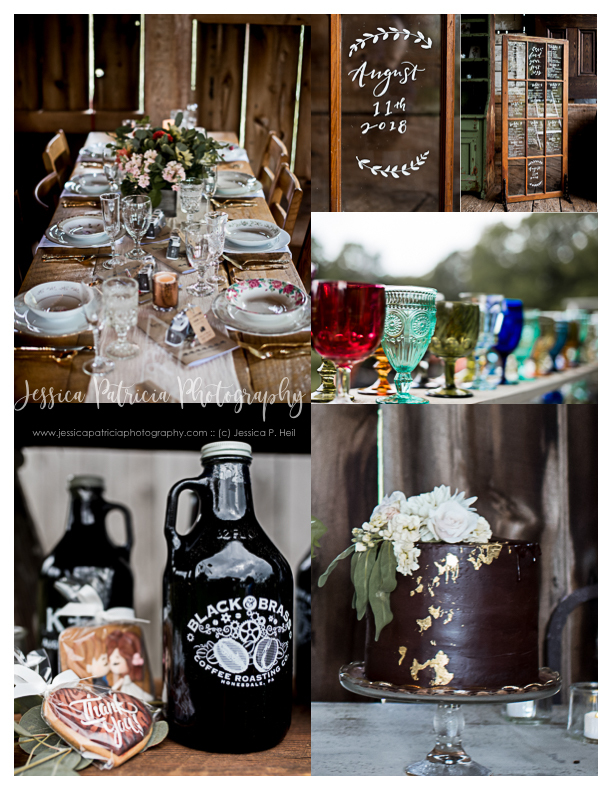 I love an old barn, especially one that has been converted to an event space to host wedding receptions! Moving back to Northeastern Pennsylvania has brought some changes to my life. One of the best ones if all of the old barns. 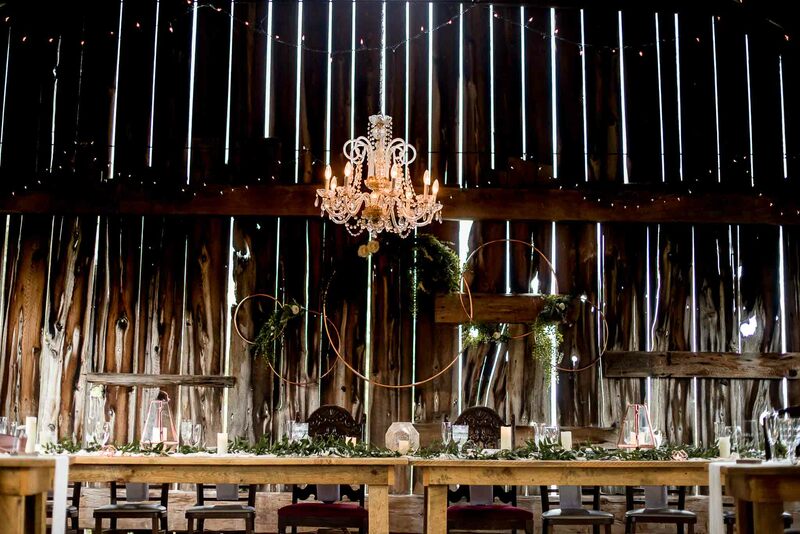 Now, don’t get me wrong, I love a classically timeless & elegant wedding reception held at a country club, social club, or event space, but I love the history of an old barn too! 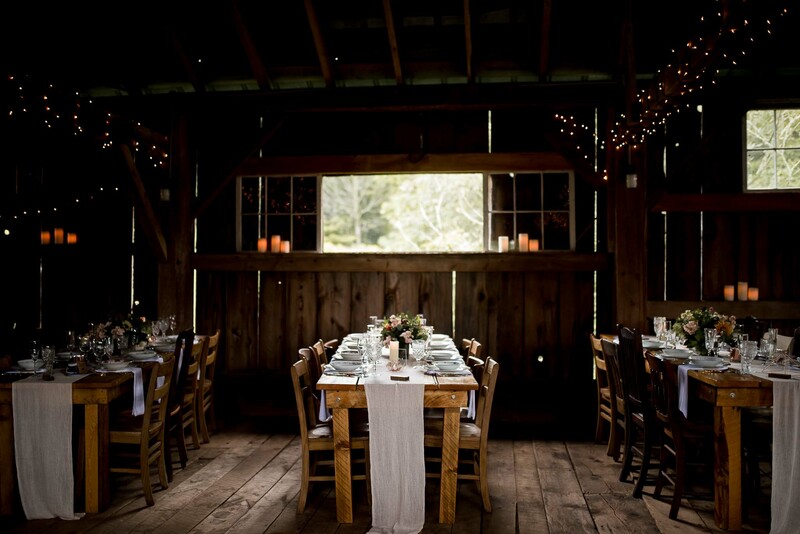 Fox Hill Farms in Honesdale, Pennsylvania is an amazing example of a beautiful barn turned event space. And it is so much more! Plenty of room for dancing, eating, and celebrating inside the barn & the outside has more to offer! A pond for tranquil views and wedding ceremonies, flower fields, a cottage for “getting ready”… everything you could ask for. The venue is fantastic, but so is a well dressed table. And let me tell you, they know how to dress a table! 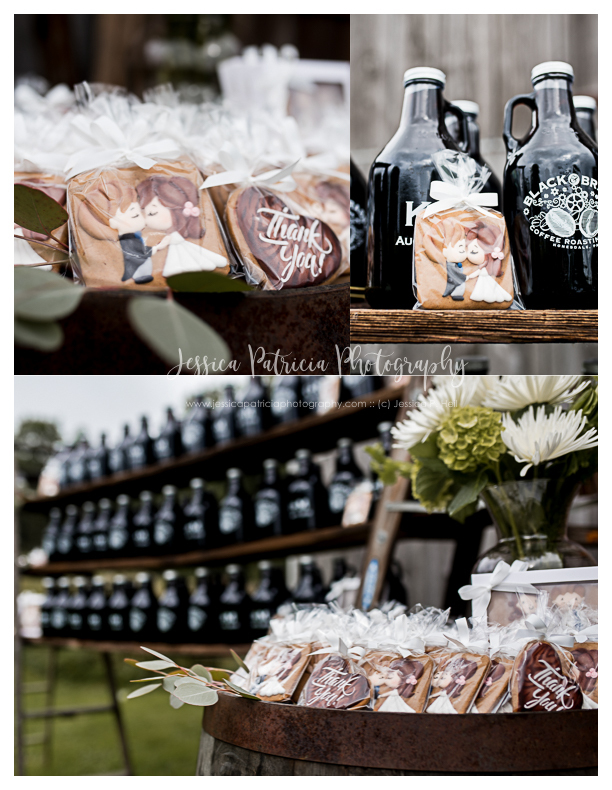 This past summer I had the opportunity to photograph a wedding at Fox Hill Farm as a second photographer for a friend of mine, Jes of Jes & Mike Photography, and the Bride & Groom left no detail untouched. 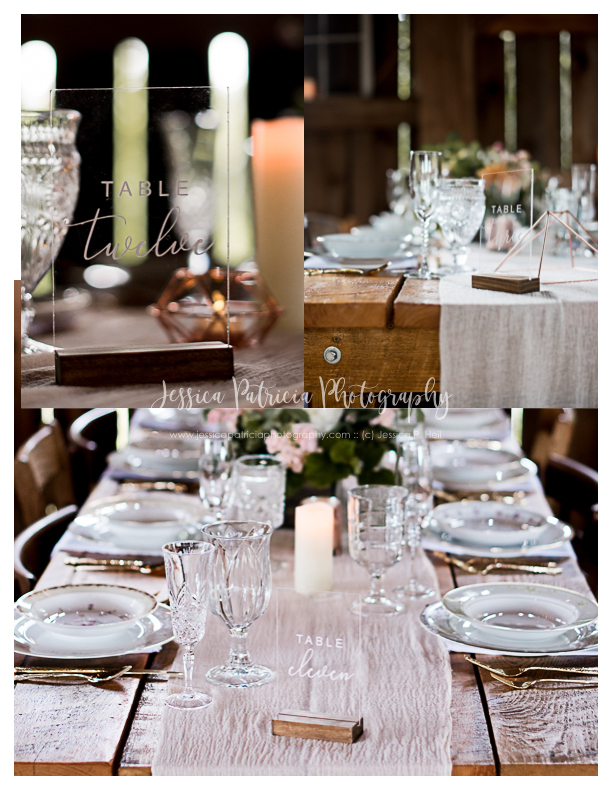 The couple rented table settings, centerpieces, and furnishings from Chippy White Table & Rustic Charm Vintage Rentals to make sure every details was covered. And how about the stunning acrylic table numbers? So freaking gorgeous! They were the perfect addition to the tables and didn’t take away from the beauty of the antique place settings or floral centerpieces. 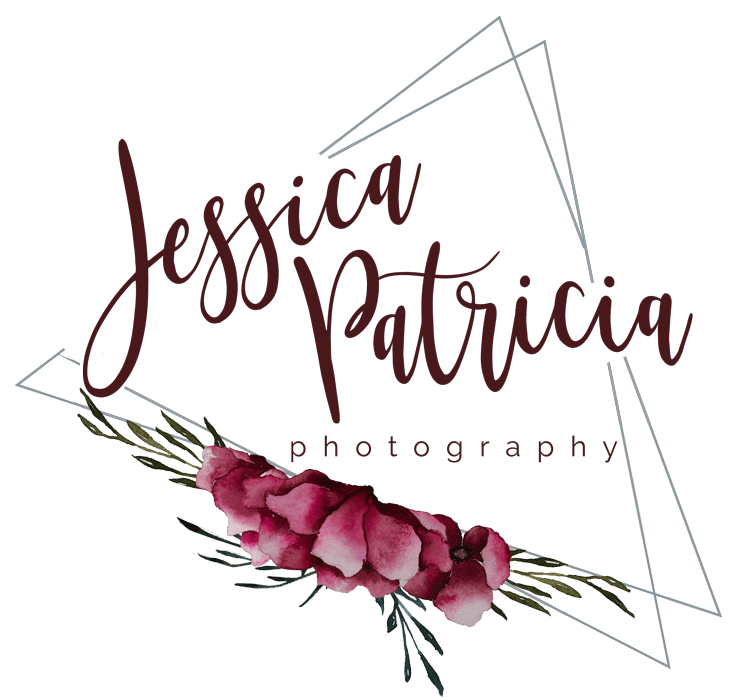 Thank you to Jes for having me along to shoot such a beautiful event! 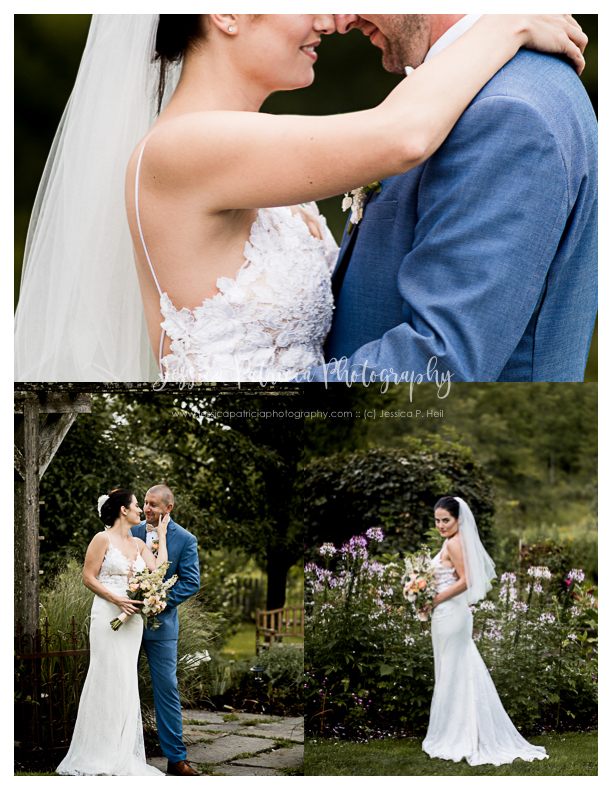 And thank you to all the beautiful vendors who made Kate & Marcin’s day extra beautiful!